The library's Morristown Branch is located in what used to be a bank on Main Street (...kids love trying to get into the old bank vault!). Your library card will work at any participating Evergreen Library, including the Shelbyville Library. children's materials and activity stations. The library has plenty to offer children! 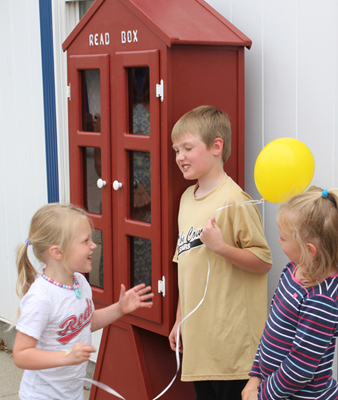 In front of the library, there is a Little Free Library where you can leave a book or take a book anytime! Programs for all ages take place at the Morristown Branch. View the calendar here. If you need to print a document, write a document or use the internet, the library can help.